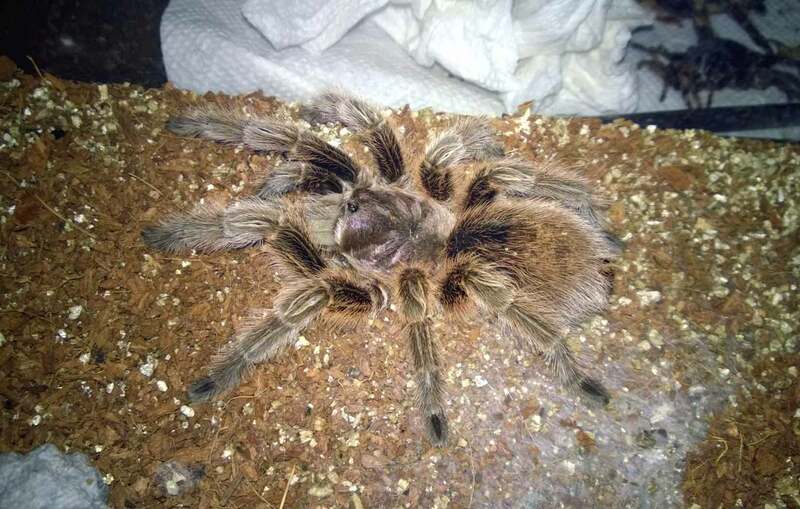 My sub-adult Lasiodora itabunae (suspected male). 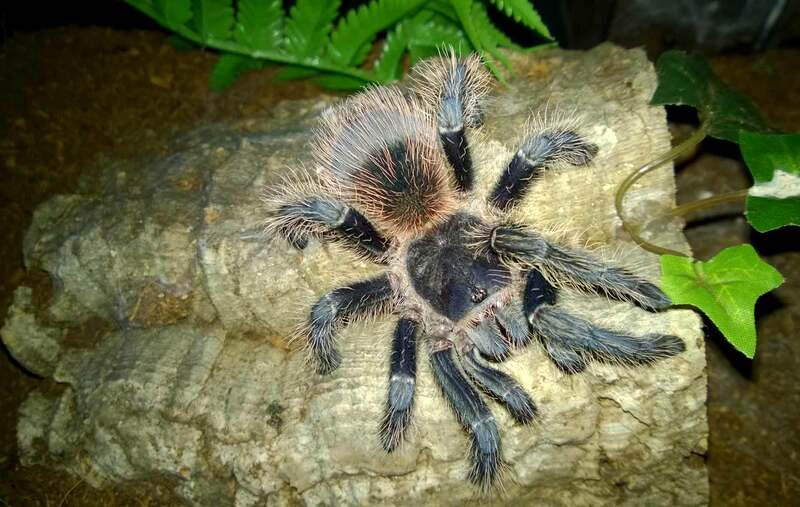 A beautiful alternative to the Lasiodora parahybana! 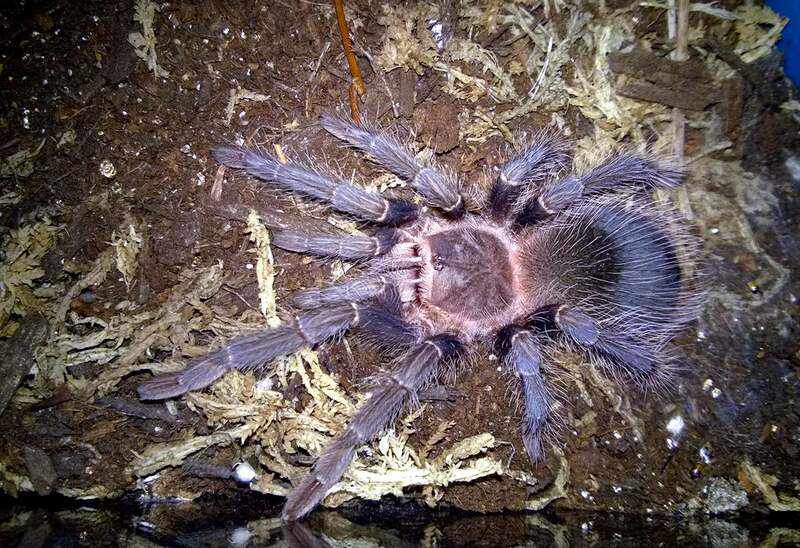 When I first encountered the Lasiodora itabunae, it was while perusing Ken the Bug Guy’s site. Although I had heard of several Lasiodora species, this one was brand new to me. A quick Google search yielded very little information on this species, and I had trouble even coming up with a common name or photo for it. To say that I was intrigued would be an understatement. After finding a couple keeper reports in which they described basic husbandry requirements for this species, I decided that I would add one to my collection. The 2.5″ juvenile that arrived was a light brown in color and a bit skittish in behavior. It quickly adopted a rounded piece of cork bark for its enclosure, and spent most of its time waiting just inside its makeshift den for me to drop a cricket in. Prey items were snatched up quickly, and it only refused a meal during premolt. During this period I would occasionally catch my little guy out, but if I touched the enclosure, he would quickly dart back into his den. Although this is a hearty species with no strict humidity requirements, I have made some observations that have lead me to adjust how I keep him. Initially, I kept my itabunae on dry coco fiber substrate and supplied a water dish that I kept filled. 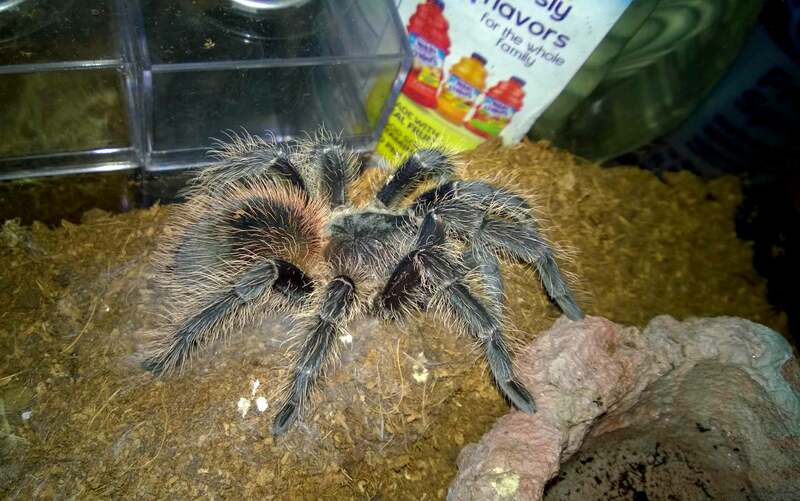 However, after noticing that my little guy stood directly over the dish for hours at a time during premolt, I started wetting down a third of the enclosure. This species seems to appreciate a bit of extra moisture at times, so I now give it the option of dry or damp. I do not, however, measure the humidity in the enclosure. For temperatures, I keep this guy at about 77º during the day with a drop to about 70-72º at night. In the summer, the temperature range is around 74-84º. I did not notice a difference in eating habits between winter and summer; it ate well regardless. It seems to do very well at room temperatures, even if the temps dip briefly into the high 60s. My L. itabunae young adult just chillin’. 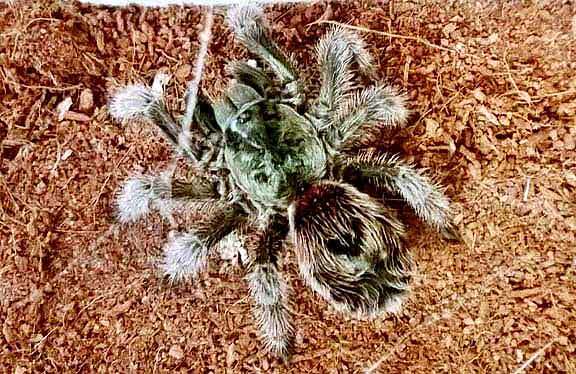 This is a fast growing species that molts regularly and puts on decent size during each molt. Within two molts, it jumped from about 2.5″ to a much thicker 4″. 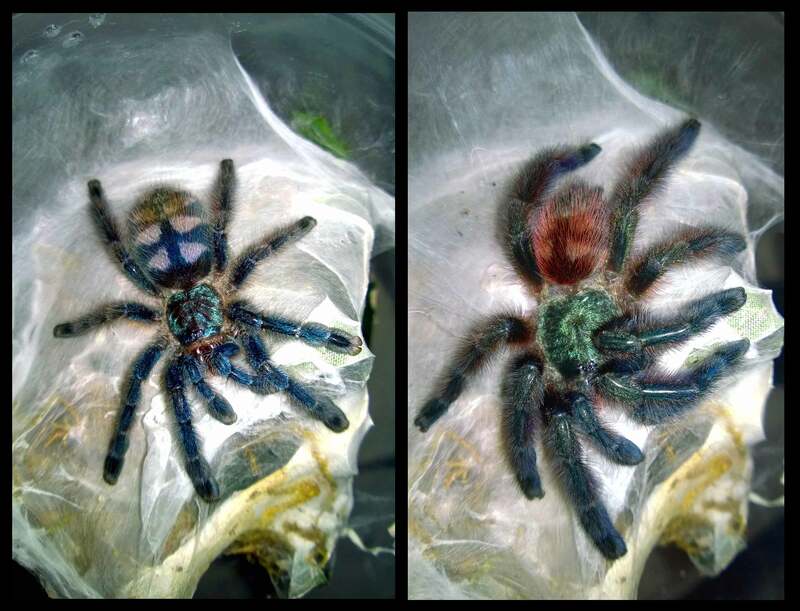 It was during this second molt in my care that I noticed some impressive physical and behavioral changes. 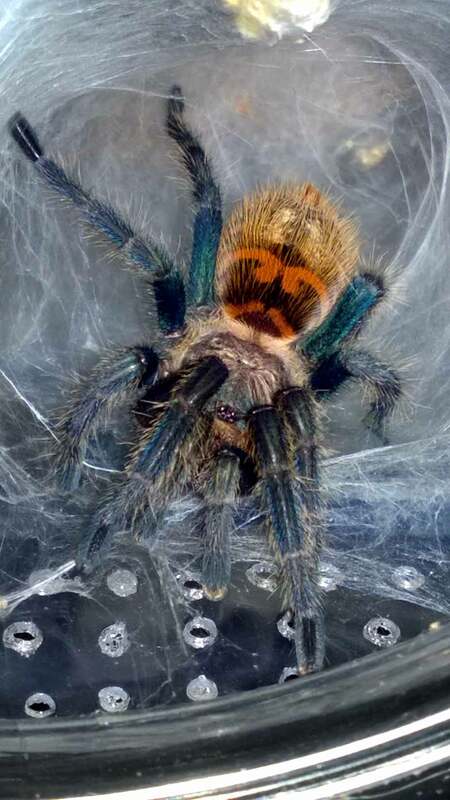 Physically, the overall brown coloration was gone, replaced by a gorgeous deep blue/black overall coloration with reddish hairs peppering its abdomen. 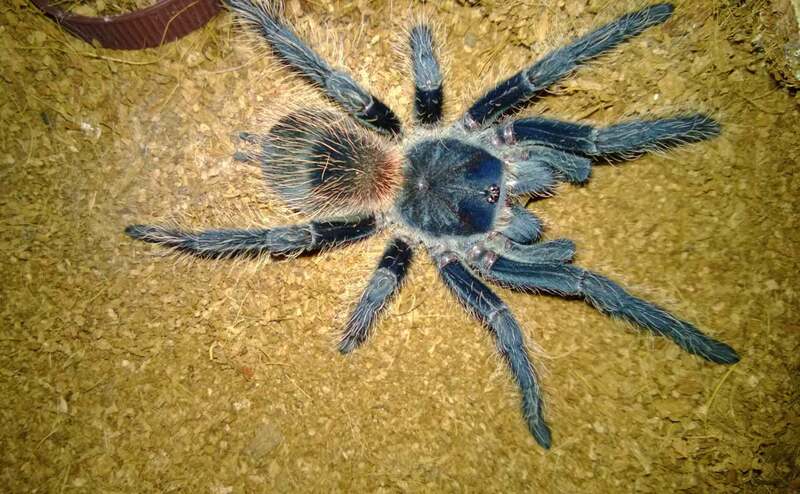 This is a very handsome tarantula with a striking appearance. Behaviorally, gone were the days of this T cowering in its den whenever someone touched its enclosure. After this molt, it stood boldly on top of its cork bark as it waited for prey, never budging when I moved or opened its cage. The crickets I dropped in for it barely had a chance to hit the substrate before they were snatched up, and twice it grabbed the cricket directly from my tongs before I could drop it in. To be clear, this specimen did NOT become aggressive or defensive. It is just much more bold and has a more ruthless food response. It has never charged at me or kicked a hair when I’ve opened its enclosure to do maintenance or to change the water. Due to its new-found attitude, it has now become one of my best display animals, as it is always out in the open. 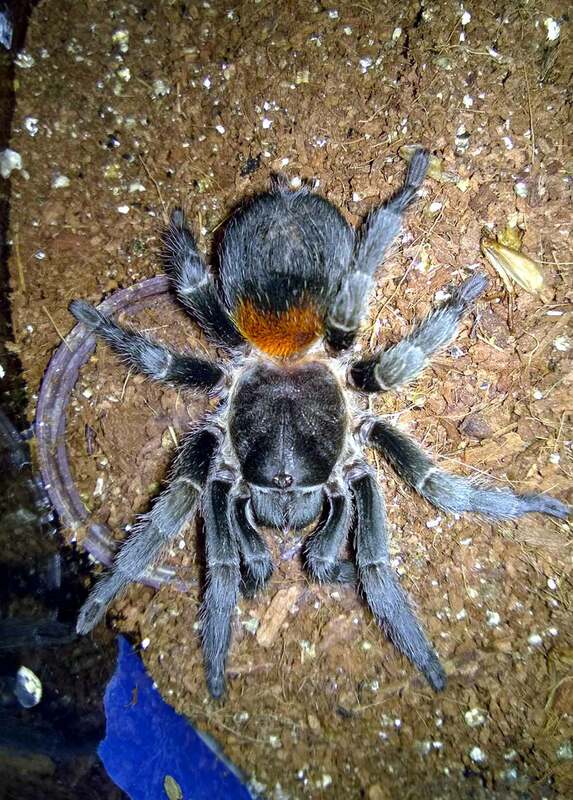 This species has a great appetite, and I feed my 5″ specimen 3 crickets or a large dubia roach once a week. This is a large T that can grow to 7-8″ in leg span, so I’ll look forward to watching it put on even more size. My L. itabunae a week after its most recent molt. 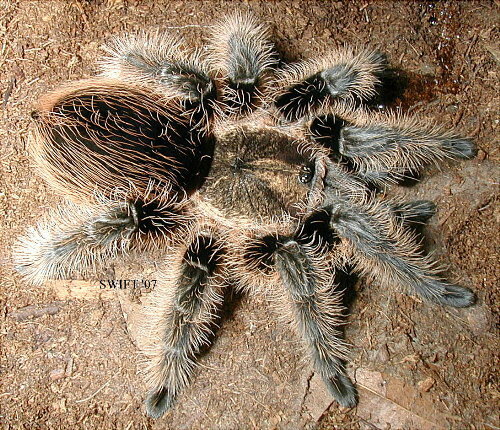 It morphed from a light reddish-brown to steely blue with red hairs on its abdomen. 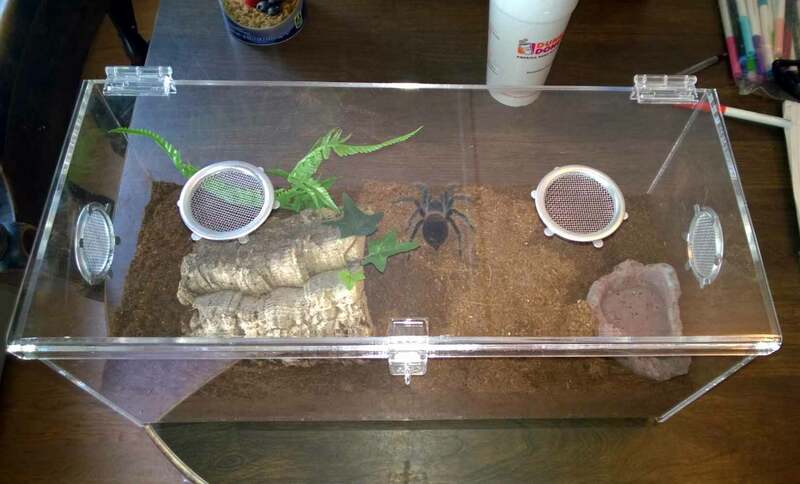 I currently house my 5″ specimen in a 5 gallon acrylic enclosure from Lorex Plastics. The substrate is now a mixture of coco fiber, topsoil, vermiculite, and peat moss, and I’ve provided a cork bark hide (which it has only used to molt). A water dish filled with fresh water is always provided, and I use a plastic bottle with holes burned in the top to sprinkle water on this side of the cage. 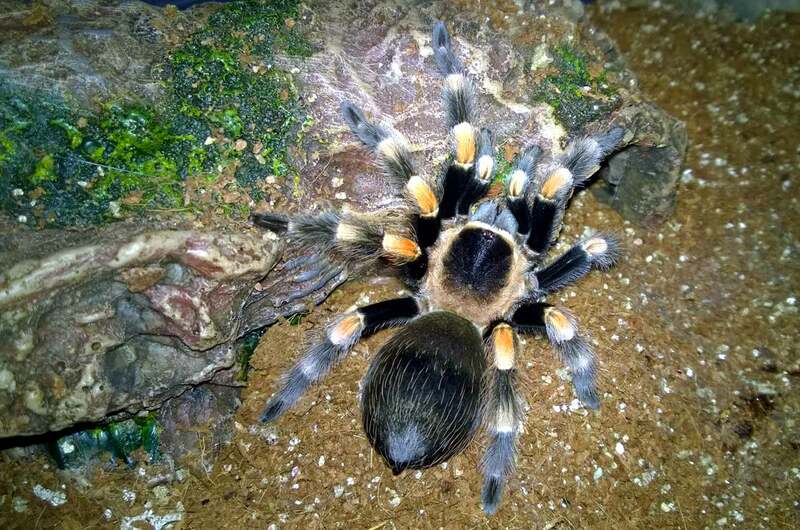 I usually let this side dry out before repeating (although I keep it moist during premolt). 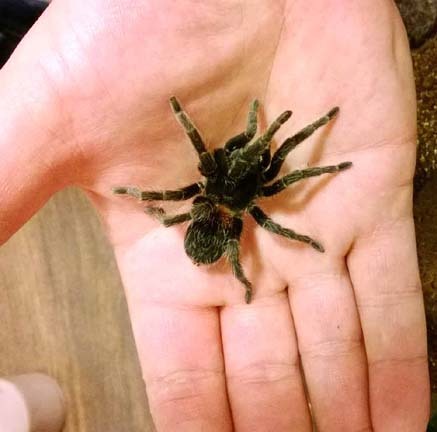 L. itabunae is a hardy, fast-growing, striking tarantula that would compliment any collection. 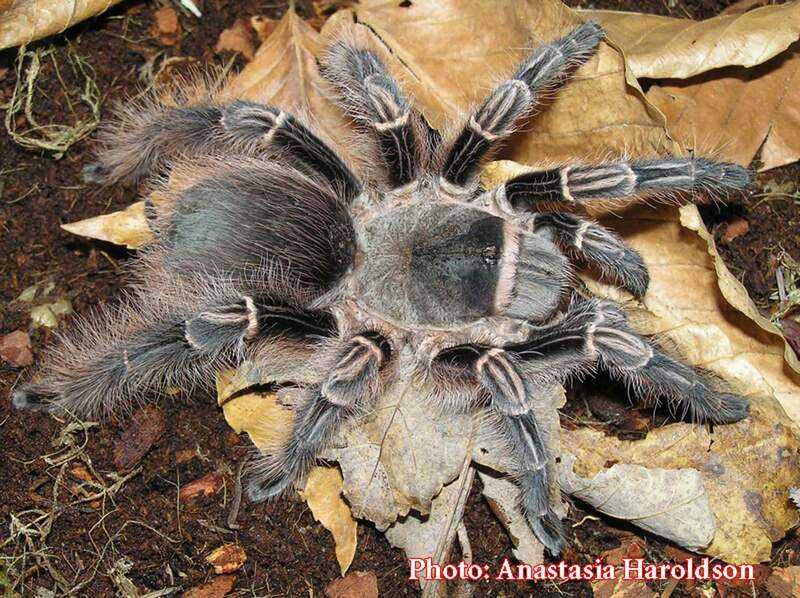 Those looking for an uncommon and handsome tarantula with simple husbandry would be wise to check out Lasiodora itabunae. I will definitely always have one of these unique spiders in my collection.